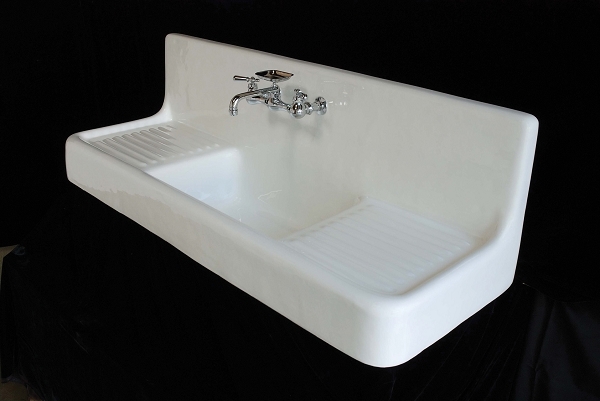 This is an authentic reproduction of the original farmhouse drainboard sinks found throughout the United States. It is 5 feet long with a 12-inch backsplash and 8-inch center-to-center faucet holes. It has a 6-inch apron in the front and an overall extension of 20 inches from the wall. The big improvement over the original is that our sink has been enlarged to 9-1/2 inches deep, 24 inches long and 17 inches wide with 18 inches of drainboard on each side of the sink.